No Matter What You Call It, We Make It Go Away! Steve’s General Hauling, LLC is Kansas City’s premier junk removal service, providing fast, affordable and thorough waste removal to both residential and commercial customers. We’re able to take care of junk removal from homes, garages, residential buildings, construction sites and more, and we take pride in our commitment to professionalism. Are you a homeowner with a garage full of junk? Do you have an old shed taking up valuable space in your back yard? Are you anticipating more debris than you can handle from an upcoming construction or renovation project on your property? 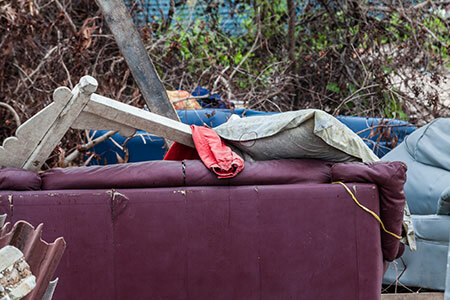 In all of these cases and more, Steve’s General Hauling, LLC is here to provide helpful junk removal in Kansas City, MO and make your life a bit less hectic. Regardless of the size or scope of your waste removal needs, we’re prepared to help, providing both the equipment and the manpower necessary to get the job accomplished to your satisfaction. We’ve been a family-owned and operated company serving Kansas City, MO and the surrounding areas since 1987. Contact Steve’s General Hauling, LLC for an estimate or to learn more about our waste removal services.